I still wonder why the influenza virus H5N1 ferret transmission studies generated such fear and misunderstanding among the public, the press, and even some scientists. I still cannot fully explain what transpired, but now that the papers have been published some new clues have emerged. In my opinion, the main catalyst of the storm was the article Scientists brace for media storm around controversial flu studies by Martin Enserink. It began with the inflammatory statement ‘Locked up in the bowels of the medical faculty building here and accessible to only a handful of scientists lies a man-made flu virus that could change world history if it were ever set free’. Fouchier said that he created ‘probably one of the most dangerous viruses you can make’. Members of the NSABB were quoted as saying ‘I can’t think of another pathogenic organism that is as scary as this one’, and ‘This work should never have been done’. This article presented a one-sided view because only Fouchier or NSABB members were quoted. I don’t understand why Fouchier made some of the statements that he did; perhaps he was quoted out of context. The NSABB members were on the way to restricting publication of the paper, so their views were clear. What Enserink did not do – what he should have done – was to speak with other virologists. This he could not do because the manuscript describing the work had not been made public. He violated a main tenet of journalism, to present both sides of the story. With the publication of the Fouchier and Kawaoka papers, it became immediately apparent that all of the inflammatory statements in the Enserink article are wrong. For example, after 10 passages in ferrets, an altered H5N1 virus does transmit in the air among ferrets, but inefficiently and without killing the animals. Hardly one of the most dangerous viruses you can make. To be fair, Enserink was not the first to report these findings. Fouchier presented the results of his H5N1 ferret transmission studies at a meeting in Malta in September 2011. A week later, New Scientist published an article on the findings entitled Five easy mutations to make bird flu a lethal pandemic. In the first paragraph, the author writes ‘…five mutations in just two genes have allowed the virus to spread between mammals in the lab. What’s more, the virus is just as lethal despite the mutations.’ A few paragraphs later: ‘The tenth round of ferrets shed an H5N1 strain that spread to ferrets in separate cages – and killed them.’ Both the title and these statements are all wrong. Fouchier’s published paper does not prove that five mutations are sufficient for aerosol transmission among ferrets, and the virus does not kill ferrets when it is transmitted through the air. Also problematic is Fouchier quoted as saying that ‘The virus is transmitted as efficiently as seasonal flu’. Given the published data, and his comments at an ASM Biodefense Meeting in February 2012, I do not understand this statement. It is easy to see how the misinformation in these two articles ignited the fear. Their stories were repeated by countless other publications without verifying whether or not they were correct, amplifying the false conclusions and spreading misinformation even further. Those of us who pointed out inconsistencies were dismissed as risk-takers. Even the New York Times – without ever having seen the data – declared that the experiments should not have been done and the virus stocks should be destroyed. A comparison of the original Fouchier manuscript with the version recently published in Science provides additional insight (I do not have the original version of the Kawaoka paper). The first version of the manuscript was submitted to Science and reviewed by the NSABB, whose members recommended that it should be published in redacted form. Fouchier and colleagues then submitted a revised version which was reviewed by the NSABB, who then decided that the entire paper could be published. Curiously, the titles of the paper are different. The original: Aerosol transmission of avian influenza H5N1 virus. The published version: Airborne transmission of influenza A/H5N1 virus between ferrets. The first is clearly ‘scarier’. Another big difference between the two manuscripts is the length. A research article in Science is typically brief: it begins with a paragraph or two of background information, then delves right into the results. This is how the original Fouchier manuscript was constructed. In contrast, it is not until page five of the published version do we reach the data: the previous pages are filled with background material reminiscent of a review article. Included is information on the basic biology of influenza viruses, the functions of individual proteins, virulence, why the authors decided to do these studies, what is known to control host range and transmission, and the containment procedures that were undertaken. It is an impressive amount of background information, none of which was present in the original version. The additional material does help to put the experiments in their proper context. I found two examples of changes in the wording that I feel could make substantive changes in reader perceptions of the results. The virus acquired the ability to transmit via aerosols or respiratory droplets while remaining highly pathogenic to ferrets. 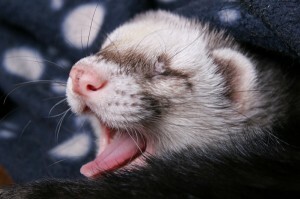 None of the recipient ferrets died after airborne infection with the mutant A/H5N1 viruses. The second version better represents the data. The first version is incorrect as stated because the virus is virulent only when inoculated intratracheally into ferrets, not after transmission by aerosols. These data are similar as described previously for A/H5N1wildtype and thus do not point to reduced virulence (italics mine). These data are similar to those described previously for A/H5N1wildtype in ferrets. Thus, although the airborne-transmissible virus is lethal to ferrets upon intratracheal inoculation at high doses, the virus was not lethal after airborne transmission. The first version is misleading because it does not clearly state that virulence was assessed by intratracheal inoculation. For the most part the same data are presented in the two versions of the manuscripts. A virologist would not draw different conclusions from the two manuscripts despite the longer introduction and the two modifications noted above. I remain puzzled as to why the first manuscript raised such a furor. I cannot believe that it was simply a consequence of overzealous writers and a few scientific overstatements. Although the Kawaoka and Fouchier papers have been published, the effect of the H5N1 storm will linger for a long time. The moratorium on H5N1 transmission research continues, meaning that important questions cannot be answered. On 29 March 2012 the United States government issued its Policy for Oversight of Life Sciences Dual Use Research of Concern (pdf). According to this new policy, seven different types of ongoing or proposed research (including transmission studies) on 15 different pathogens (including highly pathogenic avian influenza viruses) must now be reviewed by a committee for risk assessment and if the development of mitigation plans. Once the work is in progress, no deviations from proposed experiments are permitted without further review. I understand from a number of virologists that this policy has had a chilling effect on avian influenza virus research. As a consequence, this area of investigation is likely to substantially contract, depriving us of potentially important findings that could be useful in limiting influenza and other viral diseases. We are in this position because access to the Fouchier and Kawaoka papers was restricted, and few could actually read them to understand exactly what was done. I can’t think of a better reason for unrestricted publication of scientific findings. It’s easy to blame the reporters, and I agree that in a perfect world Enserink et al. would have interviewed more sources for their original reports. But we do not inhabit a perfect world. When the researcher who conducted a study describes the work as scary and dangerous, and multiple well-regarded experts who have seen the paper also describe it that way, it’s reasonable for a reporter on deadline to presume that he’s probed a representative sampling of the truth. In this case, I think blame rests squarely on the shoulders of the scientists themselves, not “the media.” Because the manuscript was unpublished (and in fact classified at the point when these stories were written), reporters had to rely on the opinions of those who’d seen the data. Science journalists do make mistakes, but here it was the scientists who screwed the pooch. We’ll never know why NSABB members misunderstood and Fouchier apparently misrepresented the study. I suspect that Fouchier wanted to draw attention to his work by pointing out how dangerous H5N1 might be, without understanding how his statements would sound to the public. He may also have chosen his words poorly when being interviewed in English. The NSABB conducted its deliberations in a marathon of conference calls. That type of intensive, closed discussion often yields bad policy, especially when the group includes strong personalities who can dominate the debate and force an artificial consensus. I admit, I jumped on the band-wagon saying how dangerous this was, thinking how all these ferrets were killed off after aerosol transmission. Vincent, your commentary and the nice job done by Robert Roos summarizing the passaging (see below) is quite informative. Enough about that, I’m really wanting to see what comes of this EV-71 virus in Malaysia. I didn’t think this type of enterovirus caused severe damage to the lungs as being reported. Very interested to see the genome sequence of this dangerous thing. I like this conclusion about transparency, but don’t know if it has universal application nor what, if any, other conditions should apply, such as responsibility. It’s interesting that just as biology is undergoing a revolution, so is our ability to communicate. Even if we are responsible, as conditions change we need knowledge about what hazards are developing, how to recognize them and how best to quickly distribute information about their identification and containment. Josh, EV71 is known to be lethal: 240 dead so far this year in China. Why the Cambodian lethality surprises is not clear to me. Perhaps the children who end up in hospital are have mutations in immune response genes that predispose them to severe illness – which is what I think is happening to those who die of H5N1 infection. I don’t just blame the writers, I do think Fouchier is at fault as well. Unfortunately we will never know what he said to Enserink; how much of the hype did Enserink craft on his own? Perhaps this was one story that should not have been written. After all, being published in Science, it carried a lot of credibility, which is why it caused the echo effect (to use your term). And you won’t deny that the people he interviewed – NSABB members – all were ‘on board’ (another phrase of yours). If Enserink had spoken to Palese, Garcia-Sastre, Krug, Lamb, hell, even me, he would have received mitigating comments. Hell, I wrote mitigating comments right here without having seen the manuscript! It was just common sense. But Enserink did not, and therefore did the wrong thing. He must bear some of the blame. Your right I researched it some more, and you talked about it in 2010 on TWiV….fascinating virus. It is so diverse in sequence, pin-pointing the lethal vs. non-lethal strains is quite a chore. Elegantly simple (being monopartitie) there is some great work that could still be done in the context of an infectious clone and mutants. are at the lower end of the H5N1-threat-painting spectrum of flu-researchers. A more balanced journalist would have chosen a better average. what would they have said ? What do they say now ? How does that compare with what you write here ? Given what the Erasmus Medical Center website said (and still says) about Fouchier’s study, we don’t really have to obsess about whether the good science reporters quoted Fouchier accurately, or in context, etc. His own institution posted even more hyperbolic statements than the reporters did, and the context is clear. All of the following Erasmus Medical Center statements, posted in both English and Dutch, went uncorrected for months. All but one are still posted as of today. Erasmus MC researchers have discovered that the H5N1 influenza virus (bird flu) could develop into a dangerous virus that can spread among humans. Of the 600 people who have to date been infected with the H5N1 virus worldwide, 60 per cent have died. Many real flu scientists (Palese et al.) had/have very distinct opinions from those offered by the NSABB folks (none of whom are real flu scientists). This does not in any way mean that the opinions of Palese et al. are less likely to be correct. In fact, those are the folks who know flu data/history/the virus better than anyone else. taking the average of the expert opinions is the bestthat we can do, what else ?Whould you think that by following the debate and getting informed you can come up with a more qualifiedestimate than the average of experts ? I just mean that we should look at who the “experts” are before we take their opinions into consideration. There are no flu experts within the NSABB… If you average the opinions of flu experts on this topic, I think you will find that there is not a huge spectrum of different opinions (one or two outliers, sure). think your criticism of my story is off-target and unfair. indicate that either story hyped the threat. ran, he said he did not. illustrate them. The lethality didn’t surface as an issue until much later. were commissioned by NIH in the first place. think the result was a solid and balanced news story. to wait until we got the story 100% right, we’d never write anything at all. Interesting article and interesting conclusions about transparency. But your criticism of Enserink is way off base. His rebuttal below speaks for itself but I’d also point out that the commentor in his story that said “this work should never have been done” was attributed to Richard Ebright. Ebright is not an NSABB member, which further demonstrates that Enserink found an additional outside commenter. It also points out an error in your criticism that Enserink where you state he only quoted Fouchier or members of the NSABB. The article may have is flaws but saying he violated a major tenet of journalism is akin to accusing a scientist of academic fraud. It shouldn’t be thrown around lightly. estimates (numbers) that these bad things may happen. the outliers are found here in this thread ? From Martin’s comments (thank you), and also those of Jody, and others who have emailed me privately, it seems that the article accurately reflected Fouchier’s comments. However, my other criticisms of the article are still valid. The article was about the danger of Fouchier’s ferret adapted virus – for which Enserink only spoke with NSABB members, aside from Fouchier. He should have spoken with other virologists. Enough of them had seen the presentation at Malta and could have had mitigating comments. Others could speak intelligently about the likelihood of the ferret-passaged virus of causing disease in humans. As it stands, the article was one-sided in presenting a fearsome outcome. Because it was published in Science, it garnered respect and was repeated subsequently many times. I understand that this is all clear in hindsight – but the article might have been far more cautious had others been consulted. Either present a more balanced view, or don’t publish it at all. is surprising that this paper is currently not free access. result in the opposite of what was intended. toxoid, conjugate, DNA or recombinant vector. interventions pressed upon them by the pharmaceutical industry and governments. the exploitation of the “unsuspecting healthy”. mainstream media needs to do more to expose this problem and warn the public. I think this information about poultry vaccines is very relevant to general discussion about vaccination. Research into potentially lethal pathogens appears to have blossomed in an over-the-top response to bioterrorism attacks in the US in 2001. (1,2) Perhaps this research has the potential to do more harm than good? I suggest we need critical analysis of what is going on, and who is really benefiting from the empire-building and enormous sums being spent in this area?